Our nation’s military and their families sacrifice so much to protect this country. 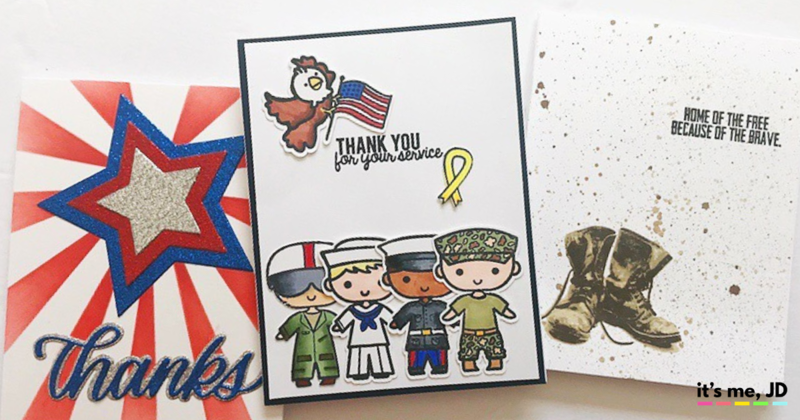 To say thank you, try making a DIY handmade greeting card to show your appreciation. 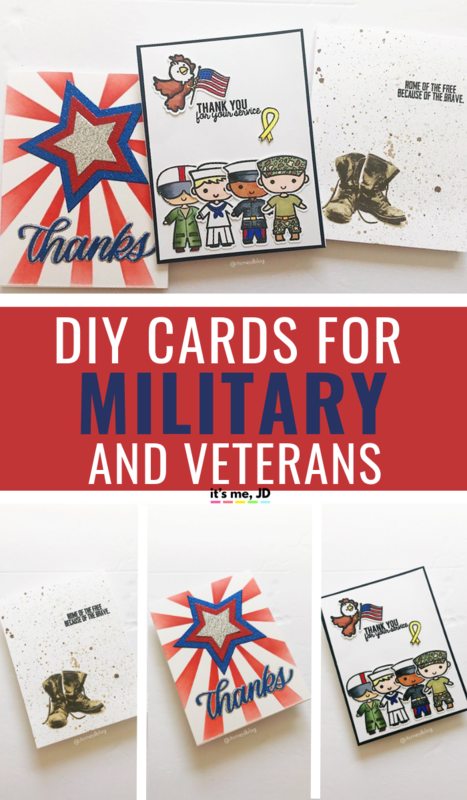 Whether it’s for Veteran’s Day, Military Appreciation Month, or just to say “thanks”, there are a lot of of different styles you can use to make your greeting card. You can check out the card making tutorial below or on YouTube. I ink blended some red ink over this stencil on my card front. Then I used this star die set to cut out some stars out of this glitter cardstock. 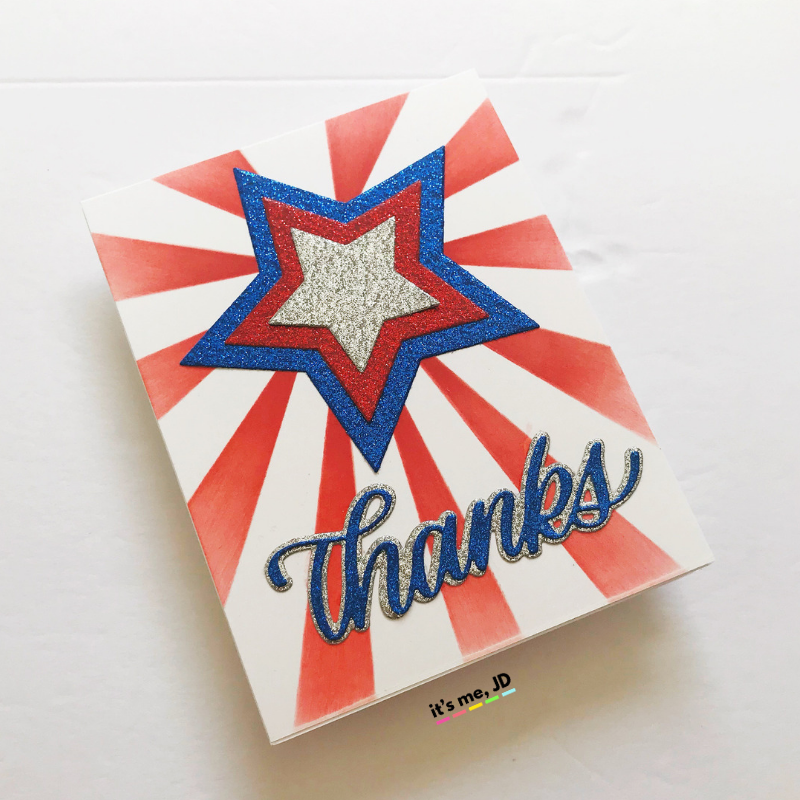 I also cut this “Thanks” sentiment out of the same glitter cardstock to match. 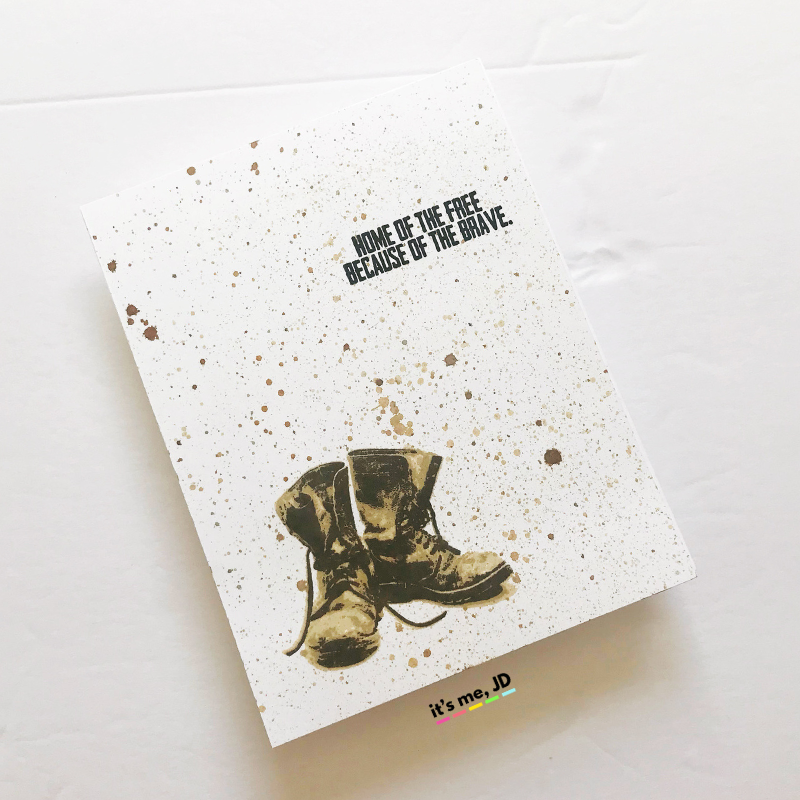 I stamped this combat boots stamp in these inks with the help of my stamp positioner. Then I thought it needed more interest so I flicked some distress inks over top. Be sure to lay down a craft mat if you use this technique as well. 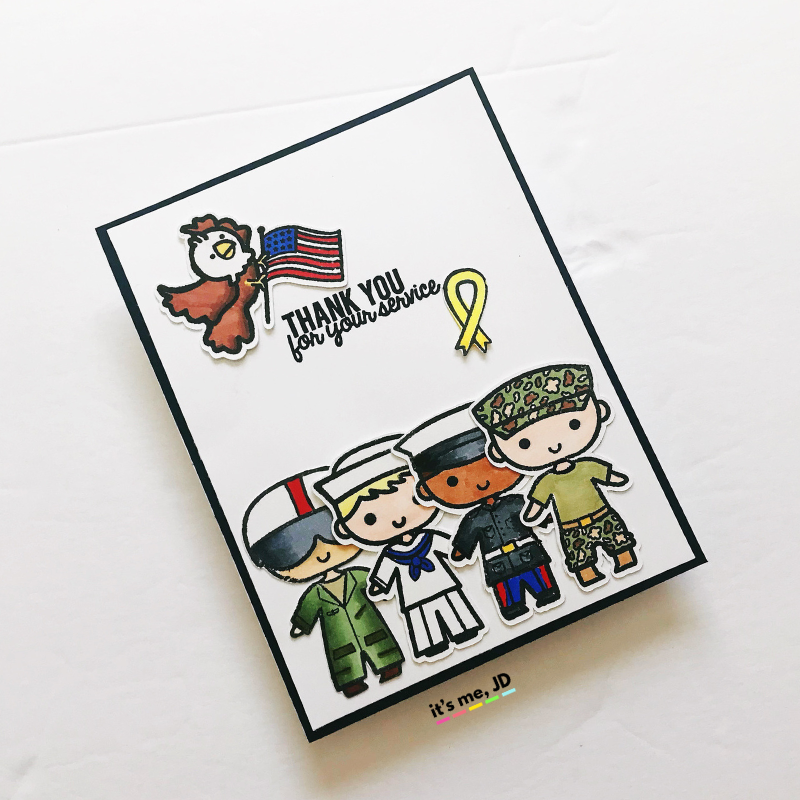 I stamped and colored my little service members with these markers. Then I attached them with some tape runner to my card front. 10 Easy Ways to Add Foil To Your Paper Projects With and Without a Laminator!